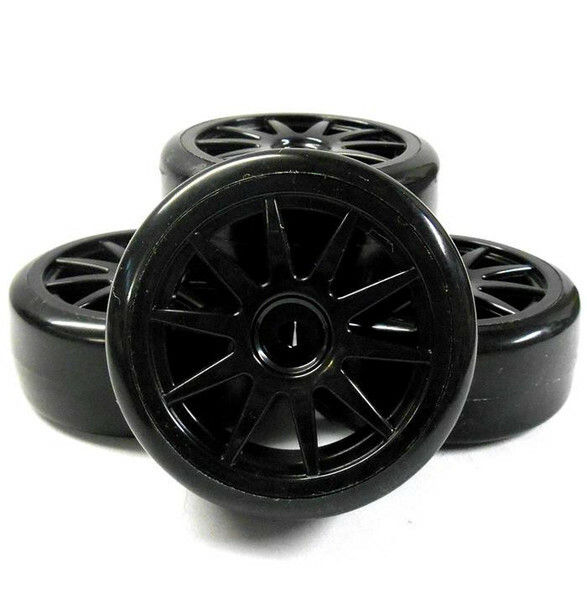 1/10 Scale On Road Wheel Tyres RC Car Black Hard Drift. To fit models with a 12mm hex (sutch as Himoto, HSP and ansmann 1/10 models). 12mm Drive Hex. 45mm Inner Diameter. 62.5mm Outer Diameter. 26.4mm Wide. 13mm depth to hex.